Viewing 24 of 35 items. A thoughtful present celebrating the newborn baby boy. 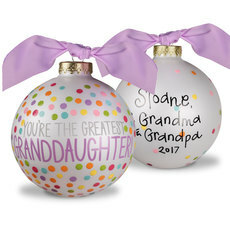 A beautiful glass ornament makes a thoughtful keepsake! 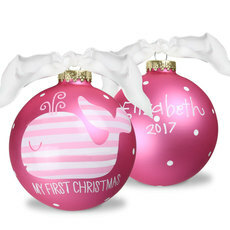 Personalization on back will be Upper/lowercase typestyle, color and positioning only as..
A special way to celebrate the baby girl's Christmas. 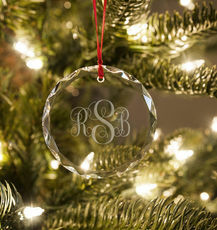 Beautiful glass ornament makes a thoughtful keepsake! Personalization on back will be Upper/lowercase typestyle, color and positioning only as.. Inspired by the brilliance of turn-of-century ornaments. 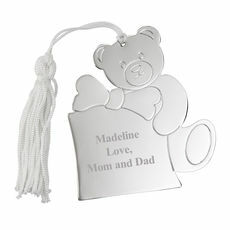 These exclusive engraved ornaments are made 24% Full-lead Crystal. Full-lead crystal ranges from colorless to a subtle blue tint. Excellent..
A special keepsake for the litte prince. 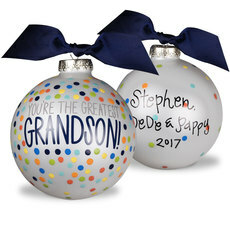 Beautiful glass ornament makes a thoughtful keepsake! Personalization on back will be Upper/lowercase typestyle, color and positioning only as shown. .. Inspired by the brilliance of turn-of-century engraved ornaments. 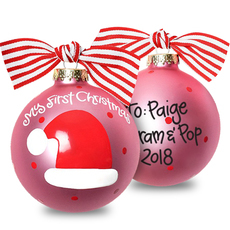 These exclusive ornaments are made of 24% Full-lead Crystal and measures 3.5” H x 3.5” W. Full-lead crystal ranges from colorless to a..
Beautiful glass ornament makes a thoughtful keepsake! 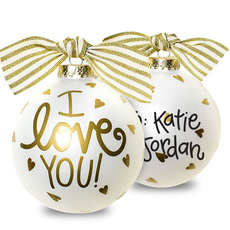 Personalization will be Upper/lowercase typestyle, color and positioning only as shown on back of ornament. Ornaments have a 4" diameter. 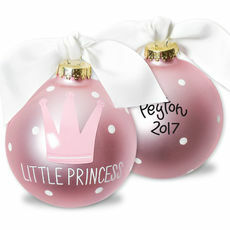 Every..
A thoughtful keepsake for your little princess! Personalization on back will be Upper/lowercase typestyle, color and positioning only as shown. 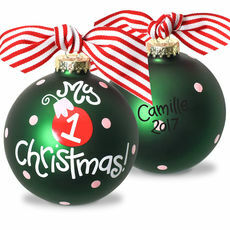 Ornaments have a 4" diameter. 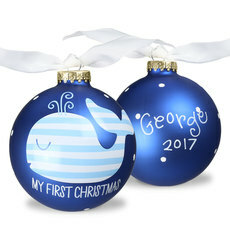 Every detail of the..
A sweet gift for their first Christmas gift! 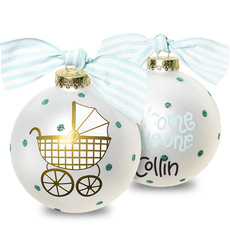 THis beautiful glass ornament makes a thoughtful keepsake! Personalization on back will be Upper/lowercase typestyle, color and positioning only as shown. .. 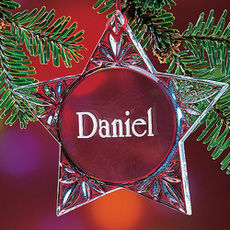 This personalized Ornate Cross shaped ornament will add a personal touch to your Christmas Tree this holiday season. 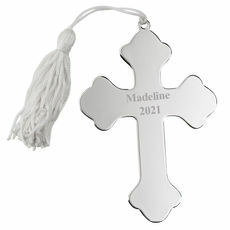 The Ornate Cross ornament is a bright, nickel plated non-tarnish finish and..
A wonderful present to celebrate the new baby girl's first Christmas. 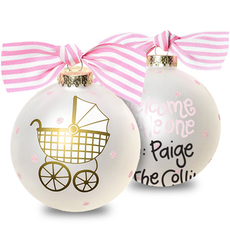 Beautiful glass ornament makes a thoughtful keepsake! 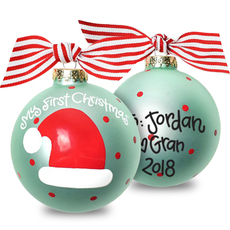 Personalization on back will be Upper/lowercase typestyle, color and..
Beautiful glass ornament makes a thoughtful keepsake! Personalization on back will be Upper/lowercase typestyle, color and positioning only as shown. Ornaments have a 4" diameter. 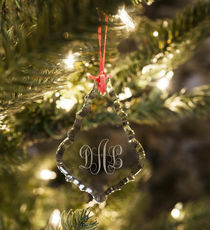 Every detail of..
Beautiful glass ornament makes a thoughtful keepsake! Personalization on back will be Upper/lowercase typestyle, color and positioning only as shown. 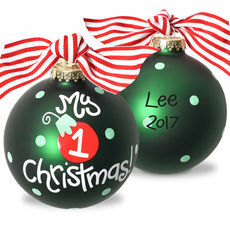 Ornaments have a 4" diameter. Every detail of the.. Inspired by the brilliance of turn-of-century ornaments. 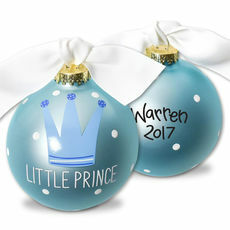 These exclusive ornaments are 24% Full-lead Crystal. Full-lead crystal ranges from colorless to a subtle blue tint. Excellent sparkle. Measures.. 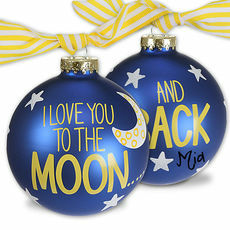 This personalized Christmas Stocking shaped ornament will add a personal touch to your Christmas Tree this holiday season. 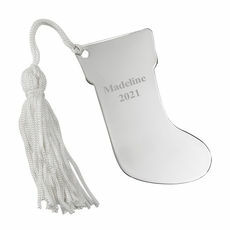 The Christmas Stocking ornament is a bright, nickel plated non-tarnish finish.. This personalized teddy bear holding a gift with a big bow ornament will add a personal touch to your Christmas Tree this holiday season. 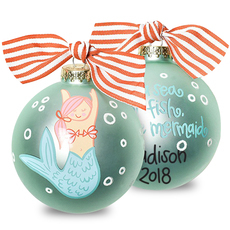 The teddy bear ornament is a bright, nickel plated non-tarnish..
Mermaids are so popular now so why not personalized an ornament for your favorite girl! 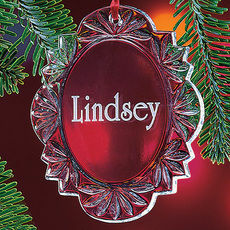 Beautiful glass ornament makes a thoughtful keepsake! Personalization on back will be Upper/lowercase typestyle,..